William T. Lewis is a certified Fire Investigator by the International Association of Arson Investigators and is certified as a Fire Marshal/Fire Investigator by the State of Connecticut. Mr. Lewis served with the Connecticut State Police Department for over 27 years before retiring as Senior Investigator of the Bureau of Investigations and Enforcement of the Office of State Fire Marshal. During his State Police career, while assigned to the Bureau of Investigations and Enforcement he spearheaded several successful Arson Task Forces and handled many major fire investigations. He was the lead investigator of over 500 fires and explosions for the Office of State Fire Marshal. He is courtroom certified as an Expert in Fire Origin and Cause Investigation and in Fire Suppression. Mr. Lewis has been the Fire Chief of the 120 member Town of Windsor Fire Department for the past 19 years and has been a member of the department for almost 50 years. He has also been the Fire Marshal for the Blue Hills Fire district since 2001. 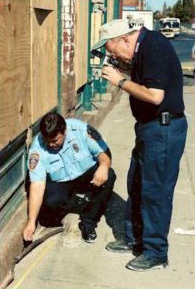 He has received numerous awards and commendations for his work in the investigation field including being named the Connecticut Chapter of the International Association of Arson Investigators 1993 Investigator of the Year. He is a past President of the Connecticut Chapter of the International Association of Arson Investigators and past President of the Connecticut Fire Chiefs Association. He serves on the Arson Reward Committee and has served on the CL&P Task Force, which promotes and makes recommendations for electrical safety of emergency personnel. He is a member of numerous associations including the National Fire Protection Association, Connecticut Fire Marshal’s Association, Capitol Region Fire Marshal’s Association, Connecticut Irregular’s Association, Police Association of Connecticut and the Connecticut State Police Academy Alumni Association. Mr. Lewis has lectured and conducted training sessions dealing with Fire Investigation and Fire Suppression throughout the State of Connecticut. Bill brought his vast knowledge and experience to Acacia Investigations in September 2001 and has conducted over 500 fire investigations while with Acacia Investigations.